e-readers have now become a must-have for all voracious readers. Most of them like to take their devices to bed with them and love devouring books over them till they finally doze off, often assisted by the ‘assistive backlight’ emitted by them. the findings of a new study have not pointed out that the device used for bed time reading could significantly affect the readers’ quality of sleep over the night. It was earlier believed that merely the content being perused at night needed taking care of. But the National Academy of Sciences carried out a study on two groups- one reading from an electronic device (with or without a backlight) and the second using ‘conventional’ hard-cover books to find out whether the types of devices used affected the level of sleep and degree of alertness over the next day. “It’s that short wavelength blue light and the theory is that it really disrupts those circadian rhythms that are so important to set our sleep and wake cycle,” said Dr. Jennifer Ashton, ABC News’ Senior Medical Contributor, who was not involved in the study. It also suppresses melatonin, which is the natural hormone that helps us fall sleep,” Ashton said. “This just isn’t for adults. It’s for our kids also,” Ashton added. The people who participated in the experiment were first asked to read from an iPad for a few days before sleeping. After that, they were asked to switch to a hard-cover book. 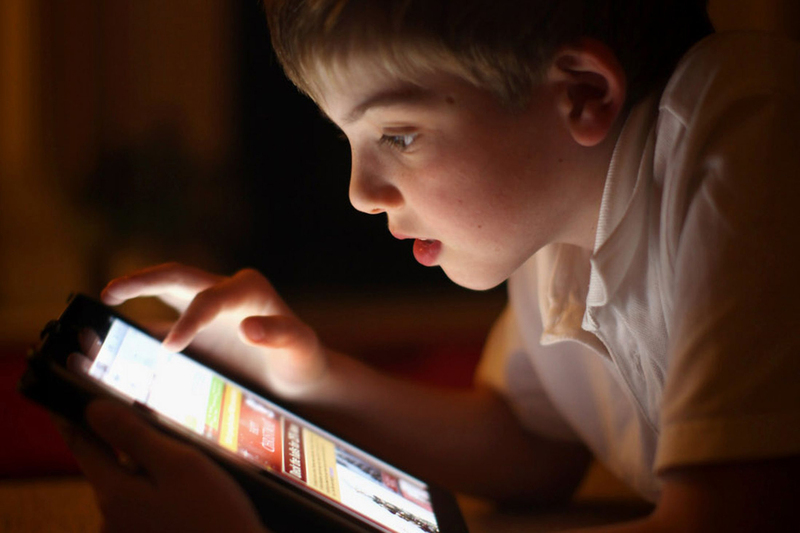 They observed that those reading from iPads had lower levels of melatonin — a hormone that encourages the body to sleep — than when they read from a book. That interfered with the biological clock of the body and those using the devices took, on an average, about an hour and a half longer to fall asleep. Even after actually going off to sleep, the REM among tablet users were shorter. As a result of all this, they were seen to be more lazy and less alert the following day. Should be titled: “Using [backlit] e-readers in bed affects sleep, ruins next day.” The study used iPads as e-readers and it’s results are not necessarily applicable to using side-lit or unlit e-ink e-readers.